Home / shopping / Black Friday Deals: All The Mistakes You Have Been Making And How To Avoid Them. The 2018 black Friday is fast approaching and like every other event if not properly planned it could truly turn black literally. Black Fridays- the biggest and apparently the busiest shopping event anywhere in the world where brands, cooperate bodies especially the e-commerce offer products at large discounts to customers. These offers are usually mouth-watering and we can save a good amount of money on the offers but like I stated earlier if you don’t plan well, you could make serious mistakes that make you spend more than what is in your budget. The Black Friday is competitive, takes a lot of energy and you need to be strategic in your planning to get the best deals. However, you don’t need to panic. Below you will find techvenge tips to avoid mistakes on Black Friday and for shopping in general. The 2018 black Friday comes up on November 23 which is the day following the Thanksgiving Day in the USA. It also marks the beginning of Christmas shopping season. 1) Believing Best Deals Only Exist On Black Friday. The myth that you get the best deals on Black Friday have been flying around for so long we tends to be guided by them. But don’t be fooled, that not true. Typically, household items have their own discount day known as “White Sales” which occurs usually in January. Your furniture, towel and sheet shopping can wait till then where you could save up to 30% to 60%. Also for carpeting, you might want to wait till May to get the best deals. For customers in Nigeria and its surrounding, you can estate deals at RealEstateko. All in all, you should get your figures right before you pull your trigger at any store. 2) Not Having A Game Plan. What else could be more dreadful than this? Not having a game plan before the Black Friday will definitely leave you overwhelmed when you enter the store. You need to know the difference between what you need to buy and what you want to buy. Getting a list of what if you need can really go a long way in saving you some stress and time when the Black Friday arrives. Making the list is important but the more important is following the list. You could take the picture of your freezer before heading to the store to remind yourself of the what you have and what you don’t. A cozy alternative to Black Friday. Compared to Black Friday, Cyber Monday is more retailer-wide discounts to the product-specific discount of Black Friday. This year Cyber Monday comes up on November 26. 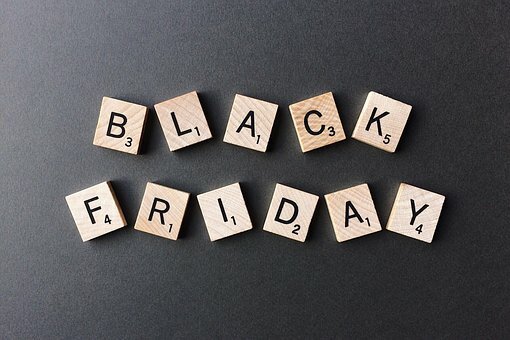 Although it may not be celebrated much like the Black Friday, it is still worth considering as it is fast becoming one of the biggest shopping days in the year and it offers a way for small retail websites to compete with larger retailers. The growing sales are on the increase such that in 2017, $6.59 billion was spent on Cyber Monday compared to $2.98 billion an$2.65 billion spent in 2015 and 2014. Most retailers will entice you with there “limited time offer” pushing you into the trap of buying first and thinking later. Don’t make the mistake of falling for the tactics. Get yourself equip with the slickdeals app to carry out a quick price history. This tactic toys with your emotion by putting the “fear of missing out” in you thereby making a purchase of what you probably won’t need or you already have. 5) Sticking To Only one Store. It is a good idea to have a favourite store but leaving competitors totally out of the window is not advisable unless you are the owner of the store. As Black Friday is quite competitive and strategic, it will be wise to ignore allegiances and shop where the deals are favouring pockets. You can’t run out of options with many stores offering similar products. You can as well sign up for newsletters of similar store days before the Black Friday to ensure you get the best deals from each store. This can help build trust and the activities of the stores. Never put all your egg in one basket. In a bid to get the best Black Friday deals never let your guard down against the fraudulent activities that come with such period. This is one of the pitfalls that you can easily get into especially when you are greedy. You need to open your eyes, have your greediness under control and it is highly recommended you do your shopping from trusted stores. As the number of transactions is increasing so is the fraud attempts growing. Due to the large volume of pressure and activities faced by the retailers during this period, it is very difficult for them to keep the level of scrutiny and vigilance that would have at the rest of the year. Moreover, they are in the business of selling things not stopping frauds. Unless it is a gift card, it is not completely reasonable to shop on Black Friday with your debit card as you very likely to overspend. Overspending becomes very easy as you don’t see the cash coming from your pocket physically. Physical cash will keep you on a budget especially when you have all the great deal coming your way. For the online shoppers, if those deals will be too tempting for you avoid, your best bet is to get a gift card ahead of the big shopping day and your bank account will thank you later. We hope you get our message and put them to good use before and during your shopping spree. Save few bucks with these tips above and keep a cool head when you see unbelievable discounts from retailers, take your time and compare prices from different stores. Do enjoy your Black Friday and if you have any feedback or any question relating to Black Friday, please let us know in the comment section below. We will get back to all your comments as soon as possible. Next Tinder Launches “My Move” Feature Where Ladies Initiate First Chat.